An Administrative Professional is responsible for doing all office work of an organization. The roles and responsibilities mentioned in the job description template are preparing and managing budget and reports, coordinating the internal functions of the organization and processing documents. 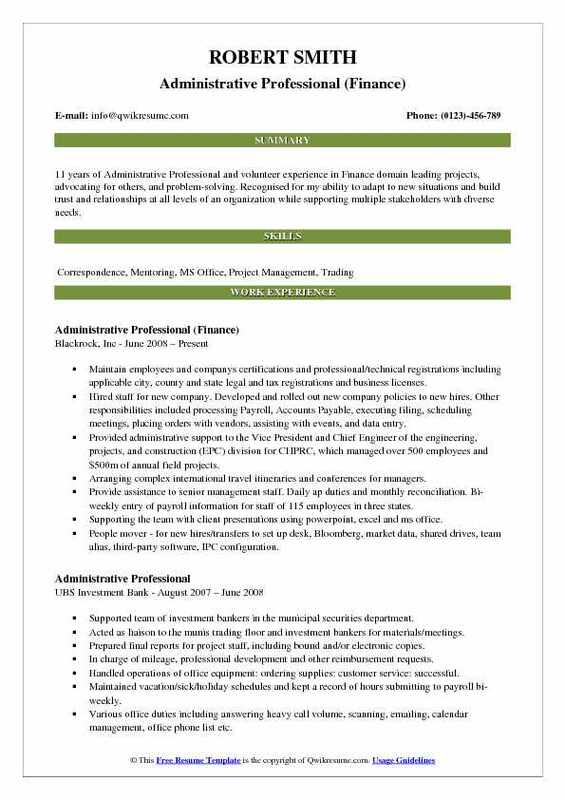 The duties highlighted in the Administrative Professional Resume are maintaining files, conducting research, creating and maintaining the database, scheduling meetings and managing supplies. There are also responsibilities like working with vendors, creating reports, planning events and making travel arrangements. 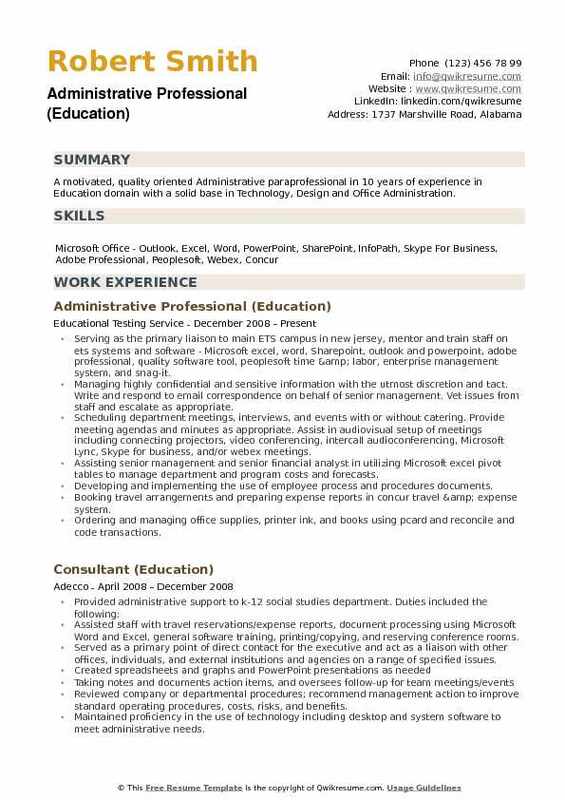 The skills required proficiency in Microsoft Office and other office software, good communication skills and ability to adapt to changes easily. The individual should also have a patient and positive approach, pleasing personality, meticulous nature, and eagerness to learn new things. The educational qualification required is bachelors or equivalent. Experience in the related field is a plus. 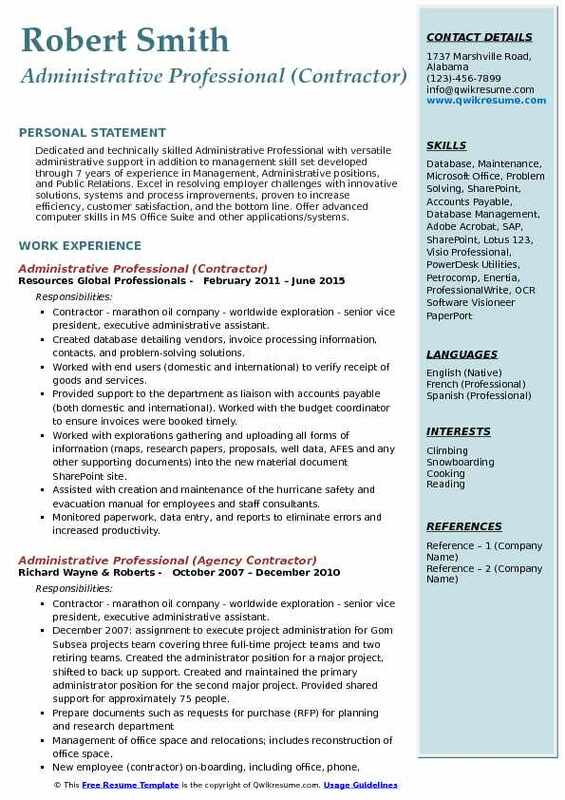 Headline : A dedicated and self-motivated administrative professional with 6 yrs experience in administrative and executive support in Armed Forces. Effective team player with exceptional communication and interpersonal skills. Committed to providing a high level of satisfaction in a high demanding environment. Focused and confident in leadership, organisational growth and team building. Received and processed all inventory requests of over 400 divisional assets in a timely manner. Ensured 100% availability and developed a written plan of action. Generated hundreds of correspondence emails to include follow up phone calls when necessary. Worked in a professional and personable manner resulting in the selection as the naval air station key. Attained West Blue Jacket of the quarter for enterprising initiative, professional competence, and dedication to duty which contributed significantly to the overall mission readiness of the. Ambitiously directed and administered the development of training and curriculum programs. Resulted in the qualification of junior personnel increasing our regional readiness. Evaluations on subordinate personnel by effectively communicating deficiencies and strengths. Resulted in the increase of individual performance on the job and resulted in the advancement of junior employees. 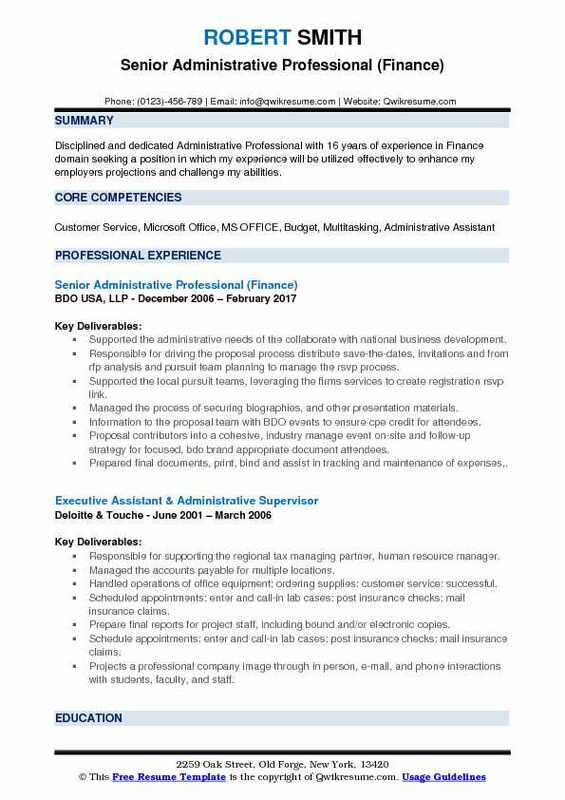 Summary : 11 years of Administrative Professional and volunteer experience in Finance domain leading projects, advocating for others, and problem-solving. Recognised for my ability to adapt to new situations and build trust and relationships at all levels of an organization while supporting multiple stakeholders with diverse needs. Maintain employees and companys certifications and professional/technical registrations including applicable city, county and state legal and tax registrations and business licenses. Hired staff for new company. Developed and rolled out new company policies to new hires. Other responsibilities included processing Payroll, Accounts Payable, executing filing, scheduling meetings, placing orders with vendors, assisting with events, and data entry. Provided administrative support to the Vice President and Chief Engineer of the engineering, projects, and construction (EPC) division for CHPRC, which managed over 500 employees and $500m of annual field projects. Arranging complex international travel itineraries and conferences for managers. Provide assistance to senior management staff. Daily ap duties and monthly reconciliation. Bi-weekly entry of payroll information for staff of 115 employees in three states. Supporting the team with client presentations using powerpoint, excel and ms office. People mover - for new hires/transfers to set up desk, Bloomberg, market data, shared drives, team alias, third-party software, IPC configuration. Building strong relationships and trust with clients, colleagues, and staff. 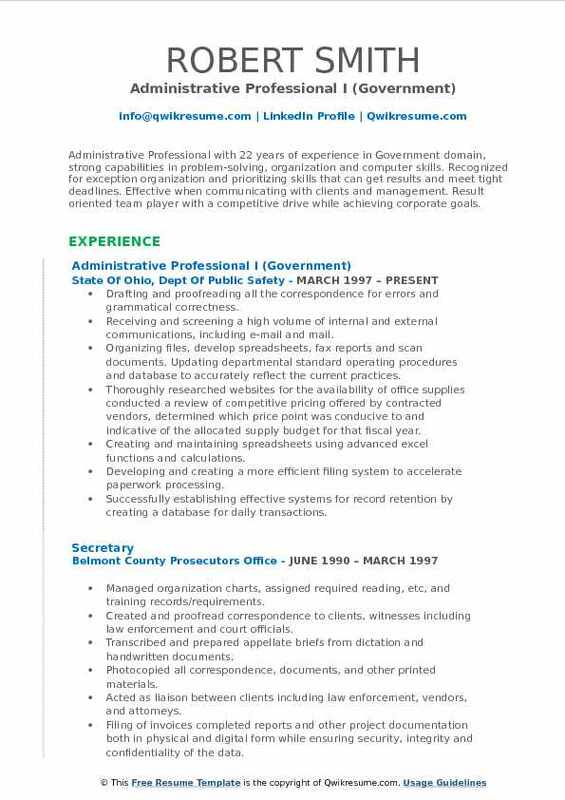 Summary : Disciplined and dedicated Administrative Professional with 16 years of experience in Finance domain seeking a position in which my experience will be utilized effectively to enhance my employers projections and challenge my abilities. Supported the administrative needs of the collaborate with national business development. Responsible for driving the proposal process distribute save-the-dates, invitations and from rfp analysis and pursuit team planning to manage the rsvp process. Supported the local pursuit teams, leveraging the firms services to create registration rsvp link. Managed the process of securing biographies, and other presentation materials. Information to the proposal team with BDO events to ensure cpe credit for attendees. Proposal contributors into a cohesive, industry manage event on-site and follow-up strategy for focused, bdo brand appropriate document attendees. Prepared final documents, print, bind and assist in tracking and maintenance of expenses,. Tracked pursuits and prospects by maintaining and coordinate travel arrangements and register. Distributed scheduled status reports and participants for internal and external meetings. Summary : Administrative Professional with 22 years of experience in Finance domain, working in fast-paced environments demanding strong interpersonal, organizational and coordination skills. Highly trustworthy, discreet and ethical; committed to superior client service. Confident and poised in interactions with individuals at all levels. Detail oriented and resourceful in completing projects in a timely manner; able to effectively multi-task and prioritize. Performed employment verifications for entire bureau verbally and over the telephone, and fill out, fax and mail form to various companies on same day. Answerd payroll/benefits related questions to employees in person as well as over the phone, state wide. Walked the employees through step by step process of filling out various forms, health enrollment, dental/vision change forms, address change forms, federal tax forms, payroll deduction cards etc, depending on individual situation. Send monthly letter and reminder to employees, to remember to send affidavit for their dependent child(ren) to continue, health, dental and vision insurance coverage. Received employee refund checks, make and send copies of payroll deduction account refund sheet to financial reporting. Give check that comes with this sheet to employee if located in william green building. If check needs to be sent overnight, i fill out the appropriate forms and walk it down to delivery services to expedite mailing. Received request to change S.P.R.C. 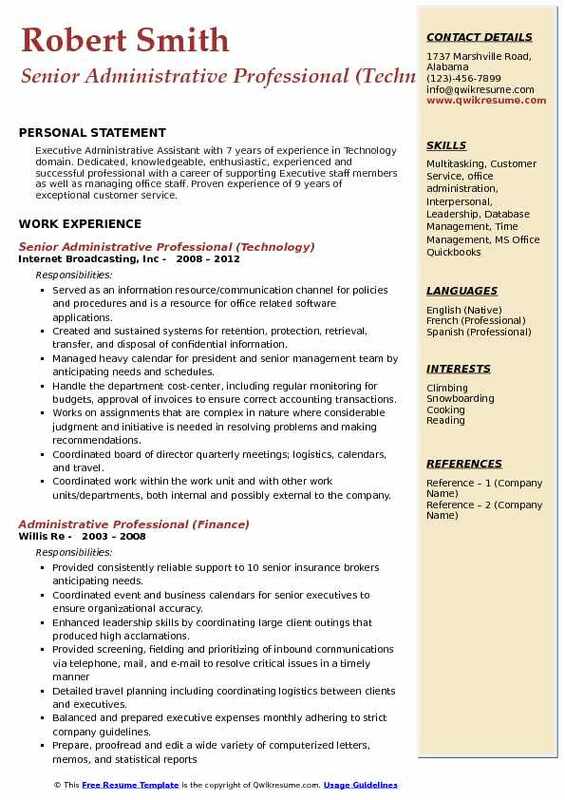 Forms, date stamp, record in microsoft word document, and send to appropriate personnel to record in hris system. Receive document back send copies to budget, return original to requester and keep a copy for my records. Received dependent care checks twice monthly from department of administrative services, date stamp and file statement for records and mail checks out to bureau employees. Continued participation and unit leader in charity events, operation feed etc. Voluntary participation and assistance in employee meetings when called upon. Daily updates and inputting in H. R. I. S. Human resources and oaks system, address changes and updates, as well as emergency info for entire bureau. Received date stamp and distribute early release of payroll warrant requests to payroll officers, periodically pull employee pay checks as requested by director. Distribute early pay check releases to employees every thursday afternoon, before the pay date on friday. 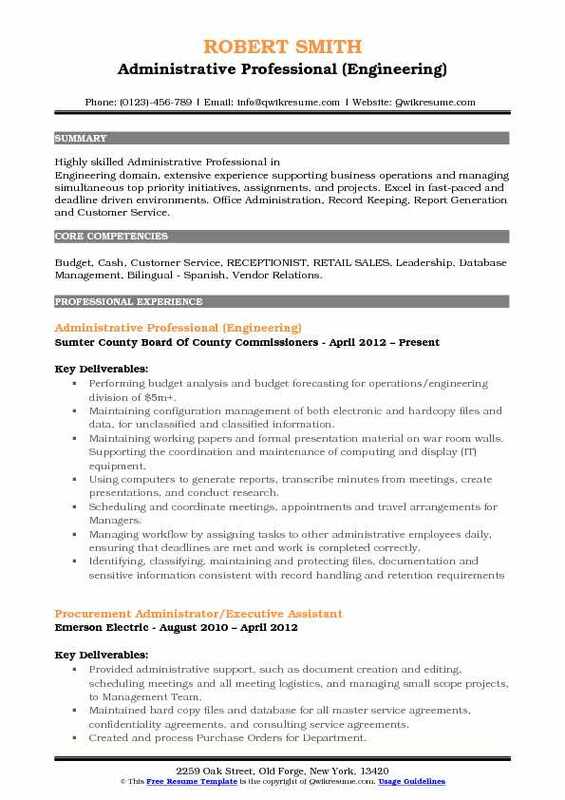 Summary : Administrative Professional with 22 years of experience in Government domain, strong capabilities in problem-solving, organization and computer skills. Recognized for exception organization and prioritizing skills that can get results and meet tight deadlines. Effective when communicating with clients and management. Result oriented team player with a competitive drive while achieving corporate goals. Skills : Proofreading, Database Management, Word, Excel, Payroll, Administration. Drafting and proofreading all the correspondence for errors and grammatical correctness. Receiving and screening a high volume of internal and external communications, including e-mail and mail. Organizing files, develop spreadsheets, fax reports and scan documents. Updating departmental standard operating procedures and database to accurately reflect the current practices. Thoroughly researched websites for the availability of office supplies conducted a review of competitive pricing offered by contracted vendors, determined which price point was conducive to and indicative of the allocated supply budget for that fiscal year. Creating and maintaining spreadsheets using advanced excel functions and calculations. Developing and creating a more efficient filing system to accelerate paperwork processing. Successfully establishing effective systems for record retention by creating a database for daily transactions. Make domestic and international travel arrangements. As well as reconcile domestic and international expense reports via concur. Summary : Dedicated and technically skilled Administrative Professional with versatile administrative support in addition to management skill set developed through 7 years of experience in Management, Administrative positions, and Public Relations. Excel in resolving employer challenges with innovative solutions, systems and process improvements, proven to increase efficiency, customer satisfaction, and the bottom line. Offer advanced computer skills in MS Office Suite and other applications/systems. Contractor - marathon oil company - worldwide exploration - senior vice president, executive administrative assistant. Created database detailing vendors, invoice processing information, contacts, and problem-solving solutions. Worked with end users (domestic and international) to verify receipt of goods and services. Provided support to the department as liaison with accounts payable (both domestic and international). Worked with the budget coordinator to ensure invoices were booked timely. Worked with explorations gathering and uploading all forms of information (maps, research papers, proposals, well data, AFES and any other supporting documents) into the new material document SharePoint site. Assisted with creation and maintenance of the hurricane safety and evacuation manual for employees and staff consultants. Monitored paperwork, data entry, and reports to eliminate errors and increased productivity. Proofread documents and make corrections before printing final copies of data. Summary : Exceptional Administrative Professional in Healthcare domain who excels at implementing both short and long-term organizational goals. Believes trust, consistency, hard work, dedication and building the most successful partnerships. 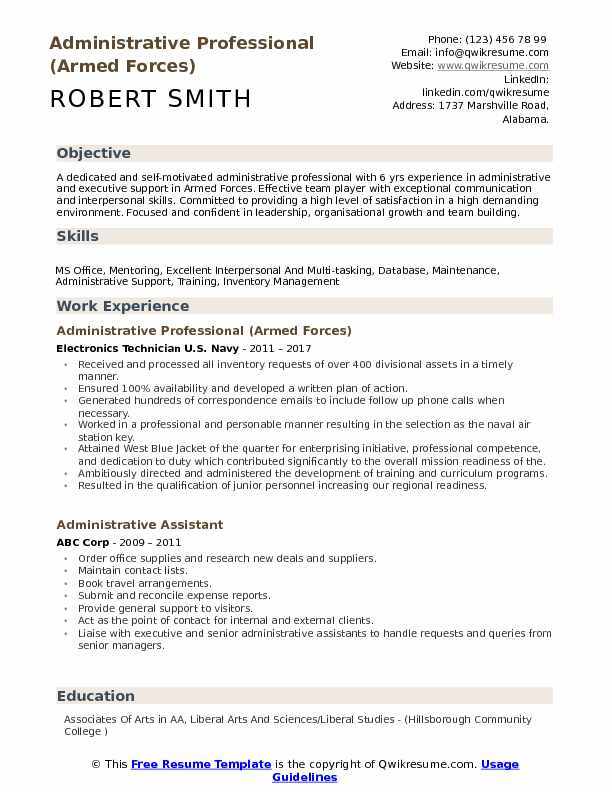 Skills : Office Administration, Organizational Skills, Customer Service, Receptionist, Communication skills. Effectively managed data and sensitive information with great attention to detail and excellent organizational skills. Responsible for managing the day to day activities for an elderly couple, assisted with small tasks and various household projects. Managed daily schedules and ensured couples timely arrival to all appointments. Answered residence phone and took messages for clients while they were away. Communicated with other house staff to ensure all efforts were coordinated to accomplish tasks on the calendar. Supported field operations by processing all new customer account set-ups. Accounted to ensure all account data maintenance and update requests were fulfilled. Set up and managed paper and electronic filing systems, recorded information. Various office duties including answering heavy call volume, scanning, emailing, calendar management, office phone list etc. 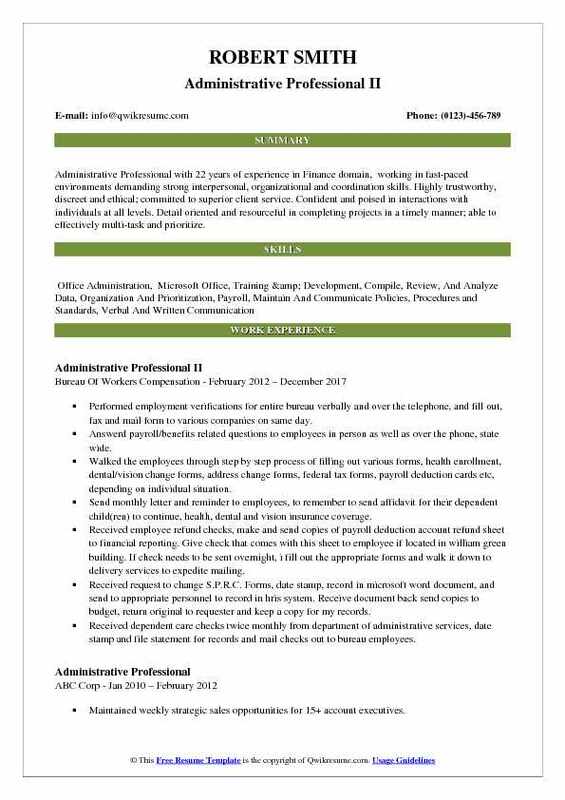 Summary : Knowledgeable Administrative Professional with over nine years of experience in Education domain to include Administrative Assistant, Office Management, and Human Resources. Knowledge extends to leave of absence, job descriptions, benefits; and office management. 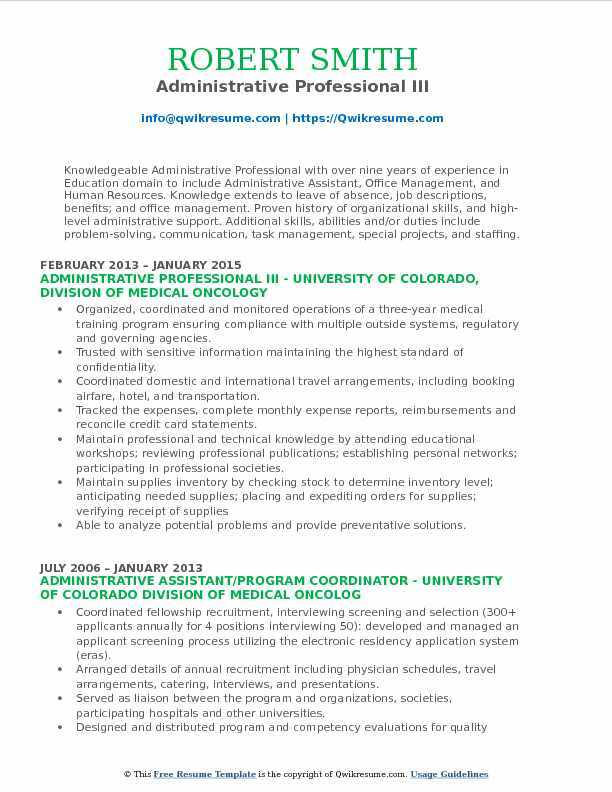 Proven history of organizational skills, and high-level administrative support. Additional skills, abilities and/or duties include problem-solving, communication, task management, special projects, and staffing. Organized, coordinated and monitored operations of a three-year medical training program ensuring compliance with multiple outside systems, regulatory and governing agencies. Trusted with sensitive information maintaining the highest standard of confidentiality. Coordinated domestic and international travel arrangements, including booking airfare, hotel, and transportation. Tracked the expenses, complete monthly expense reports, reimbursements and reconcile credit card statements. Able to analyze potential problems and provide preventative solutions. Documentation of annual quality improvement project with the intention to improve safety outcomes meeting compliance standards and reporting requirements. Secured funding for academic events, textbooks and publishing projects by negotiating with donors and sponsors through longstanding relationships. Summary : Highly skilled Administrative Professional in Engineering domain, extensive experience supporting business operations and managing simultaneous top priority initiatives, assignments, and projects. Excel in fast-paced and deadline driven environments. Office Administration, Record Keeping, Report Generation and Customer Service. Skills : Budget, Cash, Customer Service, RECEPTIONIST, RETAIL SALES, Leadership, Database Management, Bilingual - Spanish, Vendor Relations. Performing budget analysis and budget forecasting for operations/engineering division of $5m+. Maintaining configuration management of both electronic and hardcopy files and data, for unclassified and classified information. Maintaining working papers and formal presentation material on war room walls. Supporting the coordination and maintenance of computing and display (IT) equipment. Scheduling and coordinate meetings, appointments and travel arrangements for Managers. Managing workflow by assigning tasks to other administrative employees daily, ensuring that deadlines are met and work is completed correctly. Tracking the certificates of insurance ensuring contractors comply with insurance requirements. Preparing memos, letters, technical reports to both internal and external customers. Customer service and quality control for both internal and external customers. 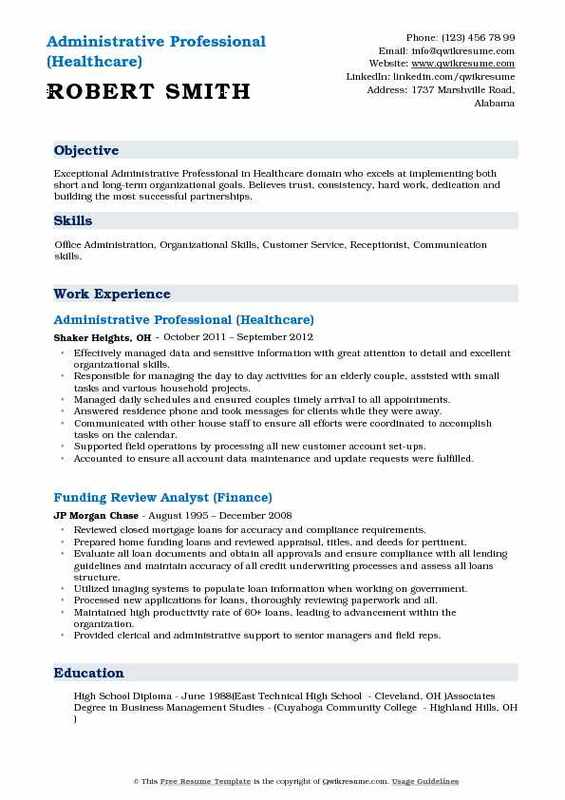 Summary : Executive Administrative Assistant with 7 years of experience in Technology domain. Dedicated, knowledgeable, enthusiastic, experienced and successful professional with a career of supporting Executive staff members as well as managing office staff. Proven experience of 9 years of exceptional customer service. Served as an information resource/communication channel for policies and procedures and is a resource for office related software applications. Created and sustained systems for retention, protection, retrieval, transfer, and disposal of confidential information. Managed heavy calendar for president and senior management team by anticipating needs and schedules. Handle the department cost-center, including regular monitoring for budgets, approval of invoices to ensure correct accounting transactions. Works on assignments that are complex in nature where considerable judgment and initiative is needed in resolving problems and making recommendations. Coordinated board of director quarterly meetings; logistics, calendars, and travel. Coordinated work within the work unit and with other work units/departments, both internal and possibly external to the company. Compiled, analyzed and researched information for review and approval. Implemented and provided guidance regarding corporate policies and procedures. Reconciled expense areas for operations saving the company $100k in 2010. Summary : A motivated, quality oriented Administrative paraprofessional in 10 years of experience in Education domain with a solid base in Technology, Design and Office Administration. Serving as the primary liaison to main ETS campus in new jersey, mentor and train staff on ets systems and software - Microsoft excel, word, Sharepoint, outlook and powerpoint, adobe professional, quality software tool, peoplesoft time & labor, enterprise management system, and snag-it. Managing highly confidential and sensitive information with the utmost discretion and tact. Write and respond to email correspondence on behalf of senior management. Vet issues from staff and escalate as appropriate. Scheduling department meetings, interviews, and events with or without catering. Provide meeting agendas and minutes as appropriate. Assist in audiovisual setup of meetings including connecting projectors, video conferencing, intercall audioconferencing, Microsoft Lync, Skype for business, and/or webex meetings. Assisting senior management and senior financial analyst in utilizing Microsoft excel pivot tables to manage department and program costs and forecasts. Developing and implementing the use of employee process and procedures documents. Booking travel arrangements and preparing expense reports in concur travel & expense system. Ordering and managing office supplies, printer ink, and books using pcard and reconcile and code transactions. Emergency coordinator for division and three floors of staff in high-rise building.